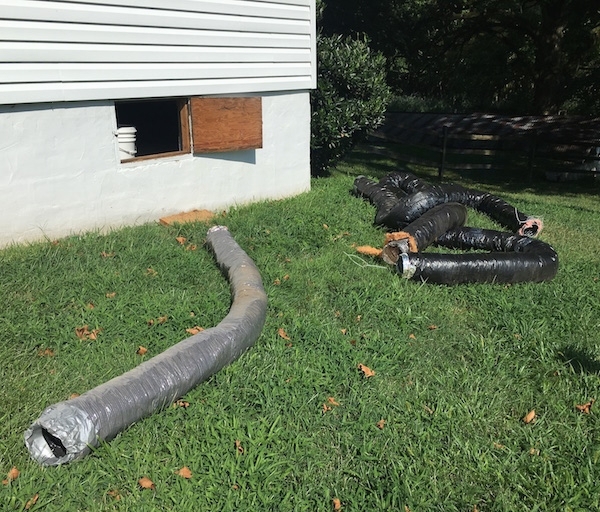 This is a flex duct in the crawl space of the basement that was connected to a vent that led to the dining room. Notice all of the exposed fiberglass around the edges that was breaking down and floating around the air. 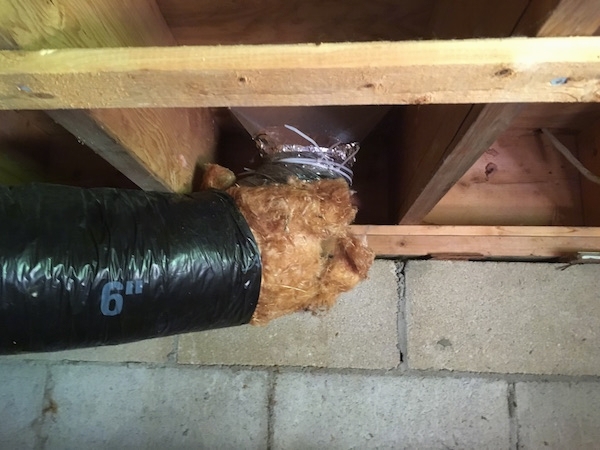 Flex duct in a store with exposed fiberglass. These are seams that no one bothered to tape. Flex ductwork often will also get tears in the outside cover exposing the glass fibers to the air. A flex duct where it enteres the wall ripped with fiberglass exposed. That is also fiberglass strings frayed at the end. 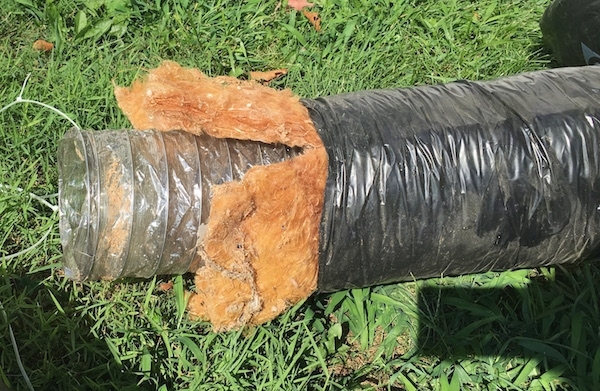 Ripped flex ductwork is very common. Start looking around and you will see flex ductwork in stores, schools etc. Then look closer. There is a good chance you will spot rips. 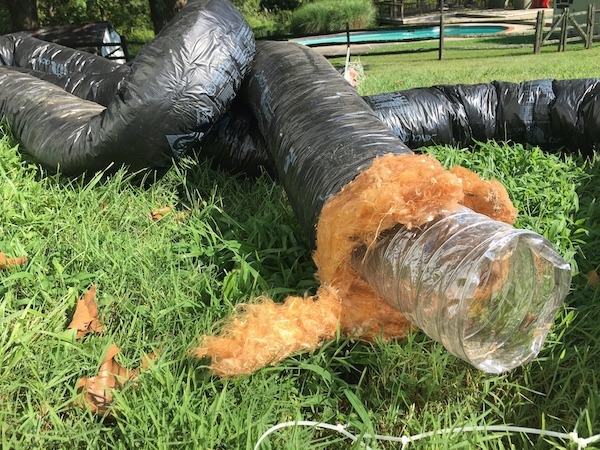 The duct after it was removed laying in the yard. Noitce all of dust inside of the clear area of the duct where the fiberglass was deteriorating. 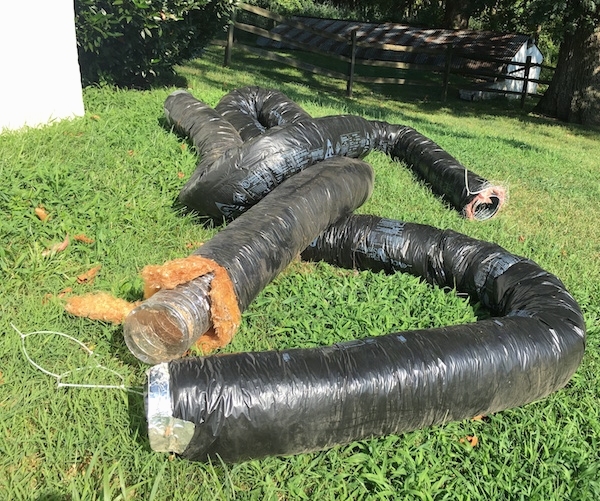 Another flex duct with fiberglass showing on the end removed from the crawl space. 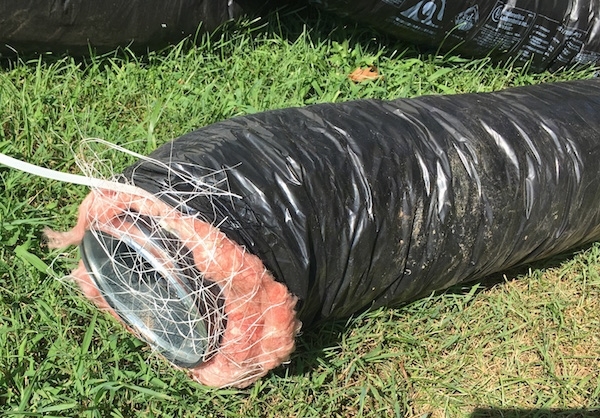 Fiberglass wrapped flex ducts always run the risk of getting a tear in them, not only on the outside, but on the inside where air would blow past it blowing tiny glass fibers into the home. I am glad that we had the option of bringing this out through the crawl space. It would have gotten all over the house if we had to carried it up the steps and out the front door.